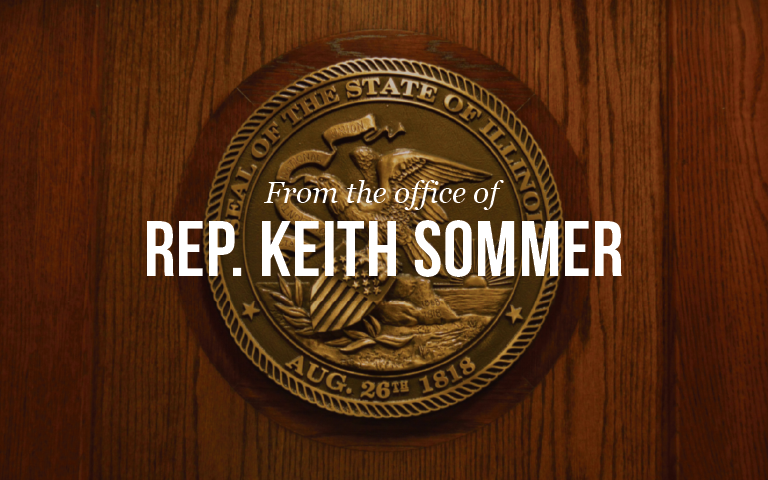 SPRINGFIELD –Legislation sponsored by State Representative Keith Sommer (R-Morton) to help adoptive families and adopted children by streamlining Illinois law governing the process passed the House of Representatives on Wednesday. The bill passed the House Adoption Reform committee last month following testimony by Shelley Hauter of Mackinaw and Kris McClelland of Dunlap, both of whom have navigated the intercountry adoption process in recent years. Existing law allows the Illinois Department of Children and Family Services to impose its own additional requirements on adoptive families who have already met all the requirements of the comprehensive federal law. House Bill 3079, which passed the House 115-0 on Wednesday, eliminates the DCFS Intercountry Coordinator and prohibits DCFS from placing additional requirements on families who have already met the federal standard. The legislation also requires DCFS to provide post-adoption services to adoptive families and to better publicize its post-adoption services. DCFS would be required to report to the General Assembly on the effectiveness of its post-adoption support services every year. The bill is a bipartisan effort of Sommer and Rep. Sara Feigenholtz (D-Chicago). It now will be considered by the Senate. For the full video of Rep. Sommer’s comments on the House floor, and comments from McClelland and Hauter, click here.